Concert giant Live Nation has no intention of ceding EDM to the aggressive team over at SFX. They've created festivals, invested in promoters and now are reaching out directly to fans of the genre. 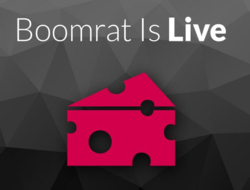 Founded in July of 2012 with the help of a $310,000 convertable note, EDM discovery platform Boomrat had not yet gone live when Live Nation quietly acquired the startup last August. Co-founders Ariel Lee and Andrew Silberstein then wood-shedded in Live Nation Labs Hollywood HQ. Launched yesterday, Boomrat curates EDM related content from more 300 blogs and streaming sites including SoundCloud. A trending chart pulling from the SoundCloud’s API will update hourly with YouTube data Set to be added soon. There are also playlists created by artists, DJs and fans which can be followed and shared.